OK, maybe that's pushing things a bit, but I certainly envy the guy in charge of the Game Life section of Wired.com. Case in point: The recent article, "Broke in Tokyo: Excavating 10 Weird Games for $10." In it, Kohler works his way through the crowded game shops of Tokyo's Akihabara district in the hopes of finding 10 games for $10 (or roughly 1,000 yen). It should go without saying that not all of Kohler's finds are long-lost treasures. In fact, most of them seem to be buried-for-a-reason trash. 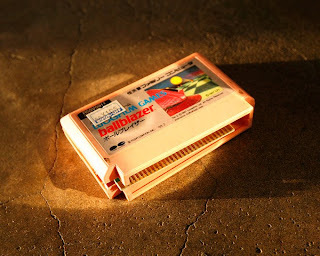 Still, the article is well worth your time if you're a retro-gaming geek like I am. Oh, and if you read the article above and find it interesting, you'll probably enjoy this one too. As the kids like to say: "All over my face!" Toad is a friend of Dorothy?